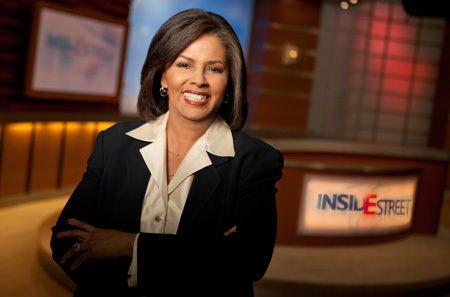 Join host Lark McCarthy each week for Emmy nominated Inside E Street. Inside E Street takes a non-partisan, civil look into issues critical to Americans, especially those north of 50. It's your inside resource on financial and health issues. Make sense of the noise. Join us, Inside E Street. Maryland Public Television (MPT) is a leading producer and distributer of innovative national public television programming to the 350 member stations of the Public Broadcasting Service (PBS). Lark McCarthy on the set of Inside E Street.